Content Creation can be simple, it really can — but there are some things you must have in place in order to foster it being so. Those things you ask: Processes & Systems. Yep, our good old friend’s processes and systems are your secret weapons when it comes creating content consistently. So what in the world do these processes and systems needs to be comprised of? Only four main things, actually and once you implement them, you’ll find that consistent content creation isn’t nearly as daunting as you may have previously thought it to be. See the thing is that when we approach content creation, oftentimes we want to get the content out there in any way we can do so the quickest. This means that we squeeze it in here and there, but that also means that it doesn’t happen…because, well life happens. Last year, I was in this exact place. 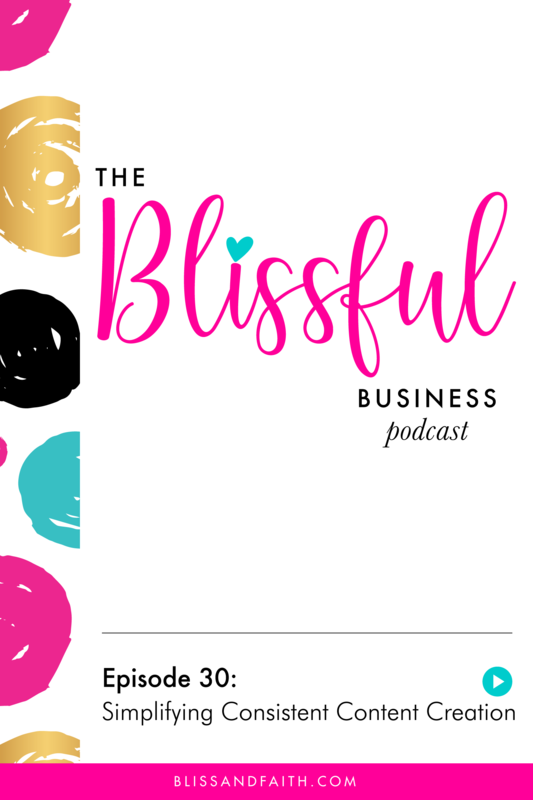 I had a new baby and a toddler to care for full-time, and my blog and business (including my Etsy shop) went on the back burner. So basically, I was overwhelmed and not very motivated to run my business or blog. The truth of the matter is that with a new baby (and life in general), my priorities shifted. Nonetheless, if I’d had certain processes and systems in place, it would have been that much easier for my business to run somewhat without me — including my blog, too. I could kick myself now, because if I’d had these four systems in place and followed the processes within them, my business wouldn’t have come to screeching halt just as it was gaining so much momentum. I’ll tell you, it really hurt to lose that momentum and to pretty much in essence, have to start over in the latter part of last year. If you’re planning on taking any kind of leave, you need processes and systems set up for your business. It’s crucial for the success of it, because without consistency, your business will suffer and growth will stifle. Nobody wants to run a stagnant business, or worst of end up with an expensive hobby because their business never turns a profit, or very little. If you’re planning on taking any kind of leave, you need processes and systems set up for it. The thing is, however, even if you don’t plan on taking any kind of leave from your business, processes and systems are essential because as a smart business owner you must plan for the unforeseen and unexpected. Like I mentioned before, life happens and it’s our job to keep things in order and afloat when it does. This is especially important if you’re with working a team because those folks are dependent on you too – hello, put food on the table. Processes and systems are essential because as a smart business owner you must plan for the unforeseen and unexpected. Moreover, your customers and clients are dependent on you to provide them with whatever product or service that you offer. When we don’t have things set up in our businesses to ensure that they run without us, we risk letting a lot of people down — and no good business owner wants to do that. I’d rather you not learn the hard way, and in turn vicariously through me. You need four systems in place in order to make consistent content creation simple. Key-word, being simple, not easy. Setting up and implementing these systems and the processes that run them takes time, energy, and word — but the results are well worth it, trust me! The process of brainstorming and generating ideas for content. It’s not enough to daydream and then subsequently jot down ideas for content. This system must be in place in order for you to decipher if these ideas are one: in direct alignment with your brand’s mission, two: outline and research them, and three: produce them in a tangible form (written, audio, or visual). The process of scheduling content via an editorial calendar. This system allows you to examine and lay out all of your created content and decide when the produced content should be published and go live for your audience. The process of deploying your content, so that it may reach your audience on multiple platforms. This system ensures that your content gets delivered to your audience, customer, client, etc. in a manner that allows you to be relatively hands-off. It also opens up your schedule and allows you to remain ready and open for follow-up, in addition to running areas of your business that require your direct involvement. My absolute favorite tool to use to automate my social media is SmarterQueue. If you’ve heard of MeetEdgar, it’s a very similar concept, but much more reasonably priced. It’s easy to use and the customer service has been wonderful thus far. They offer a free 14-day trial to try it out and they have three different tiers to choose from once your trial is over. The trial is so awesome because they give you full unlimited access to the software, so you can use it to your heart’s content. Right now, you must request an invitation to join, since it’s still in beta mode. No worries, though, I got you covered right here with an invite. The process of examining the depths of reach for your content, and how it was utilized by those who consumed it. This system is most important because it provides you the feedback and results of how your content performs, and which of it does so the best. It’s crucial that you track and analyze your content because you need to know if it’s serving those who consume it in the most effective, actionable, and valuable way possible. This system lets you what type of content to move forward with creating, due to performance, and which of the content you may want to do away with. 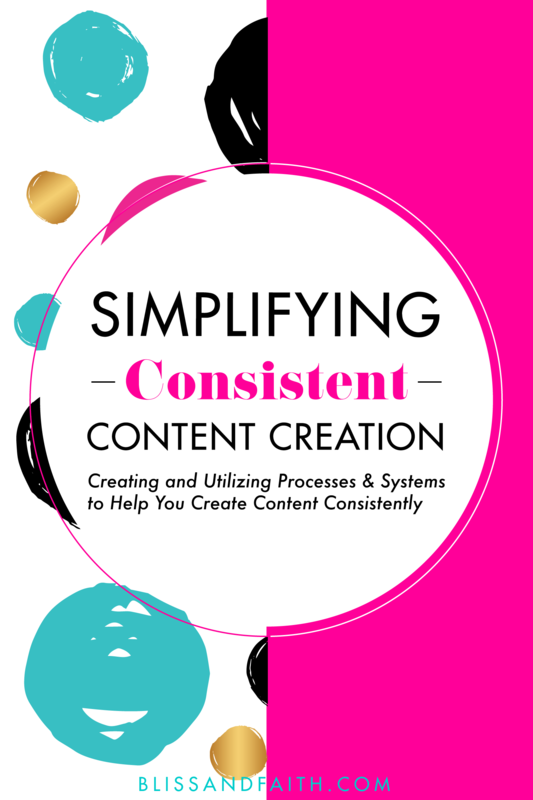 You need four systems in place in order to make consistent content creation simple. Once you have these four systems in place and a workflow of the processes within them recorded, you will find that you’re able to not only produce content more consistently but that they also allow you to hold yourself accountable. A large part of consistency is accountability. When you’re consistent, you hold yourself accountable and to the standard of the systems you have in place. The processes within the systems allow you to do it simplistically because you’re following a workflow that you know works. You’ve tested it, revised it, and refined it, and you know that they work — following them is where the accountability come into play. It’s much easier to hold yourself accountable when you have something to hold yourself to. When you’re consistent, you hold yourself accountable and to the standard of the systems you have in place. Being consistent in your business is the one thing you must hold yourself to because your business depends on it. Consistency shows your customers/clients that you’re for real, that you take your business seriously, and most importantly that you value them. Consistency breeds quality, and quality results in loyalty, and loyalty is everything in your relationships with your customers. When your audience sees you and your content regularly, they feel more connected to you, which in turn builds a rapport and trust. These will be the individuals who will enroll in that course you created or purchase that product or service that you’re offering. There are levels to this y’all, but most importantly the entire point of what I’m saying is that when you have the systems in place to get things done, you can do these things consistently and through simplistic processes that you’re confident in and that work. When your audience sees you and your content regularly, they feel more connected to you. Setting up systems will take time, but that time will give you so much insight into your business and how you genuinely want to run it. The systems will also need time to start, and it is up to you to decipher how well they run. Your goal in creating systems should be that they facilitate your business running smoothly and high-quality results. As long as yours are doing that — you’re good! Your content should always work for you, not you for it. Systems should be put in place to help things run smoothly and facilitate a high-quality result. 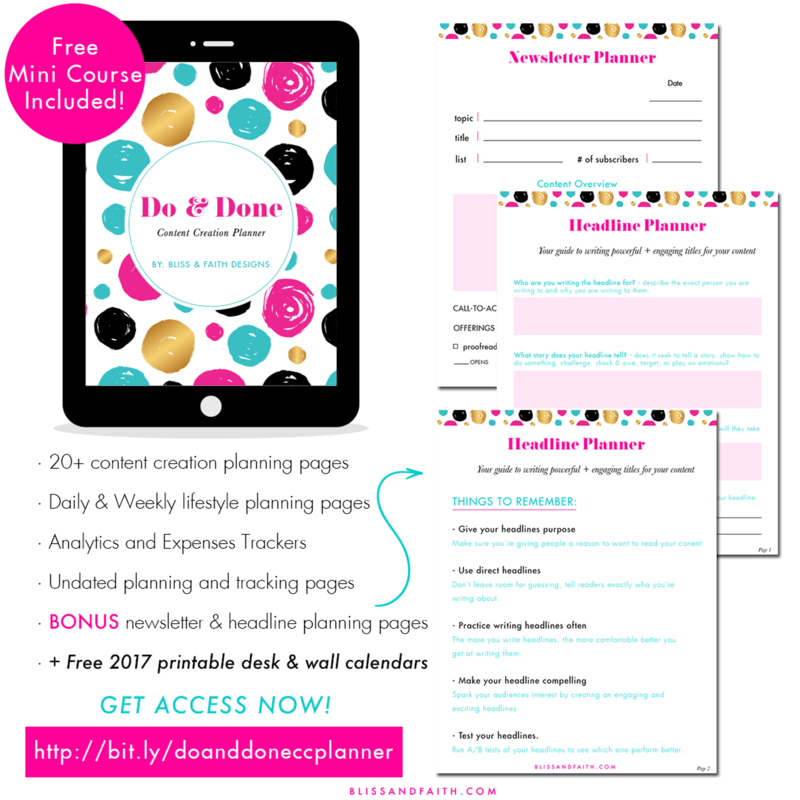 Get your hands on my hands-down favorite tool, the Do & Done Content Creation Planner, for staying on top your content creation. Download your copy below. Your content should always work for you, not you for it.